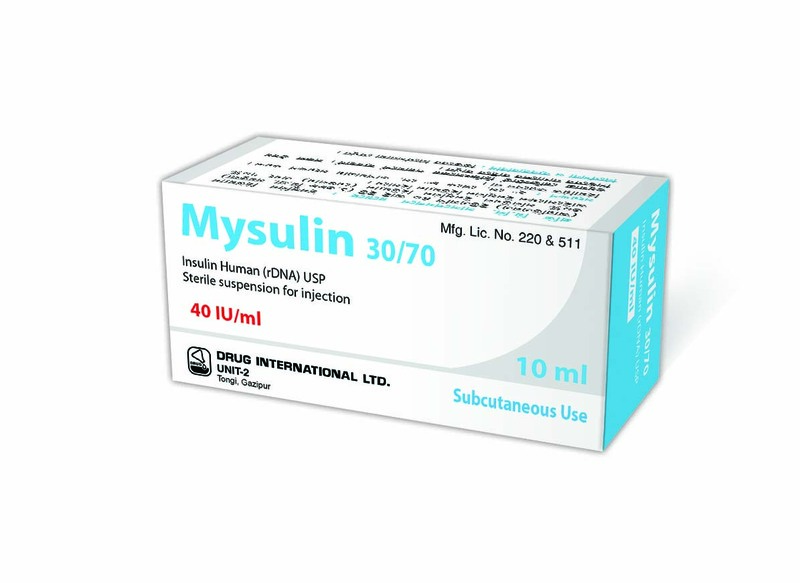 Composition : Mysulin 30/70 injection 100 IU: Each ml suspension contains Insulin Human (rDNA) USP 100 IU (equivalent to 3.47 mg) as 30% soluble Insulin (Regular) and 70% Isophane Insulin. 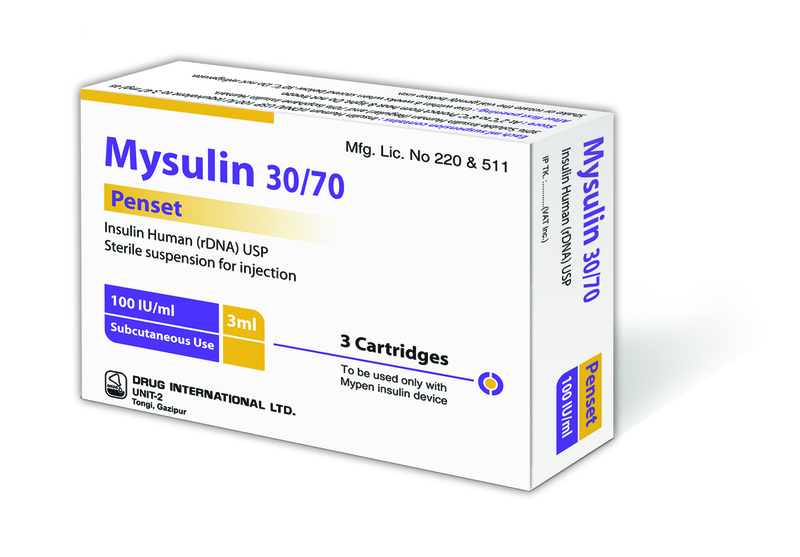 Indications : It is indicated as an adjunct to diet and exercise to improve glycaemic control in adult patients with type 1 and type 2 diabetes mellitus. Dosage : The dosage and administration time of the insulin are different due to the individual differences of each patient. It should be given subcutaneously approximately 15-30 minutes before a meal. 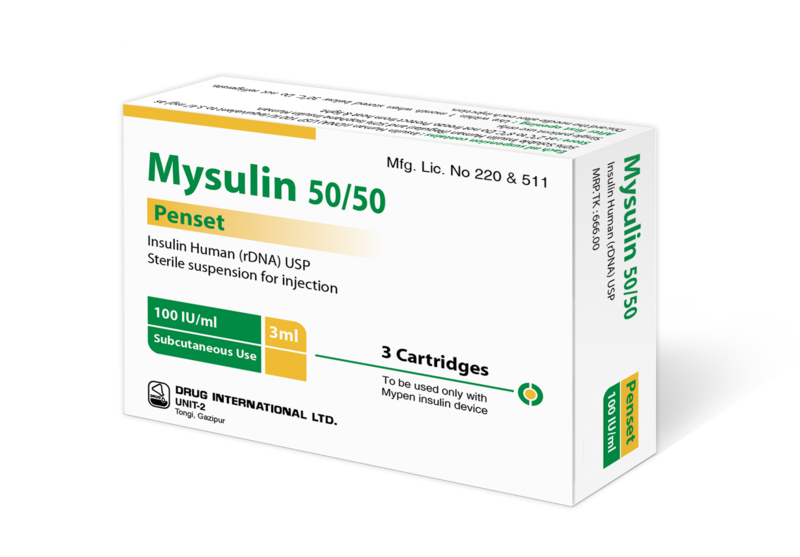 The average range of total daily insulin requirement for maintenance therapy in type 1 diabetic patients lies between 0.5 and 1.0 IU/kg/day. However, in pre-pubertal children it usually varies from 0.7 to 1 IU/kg/day. In situations of insulin resistance, e.g. during puberty or due to obesity, the daily insulin requirement may be substantially higher. Initial dosages for patients with diabetes are often lower, e.g., 0.3 to 0.6 IU/kg/day. Or, as directed by the registered physician. 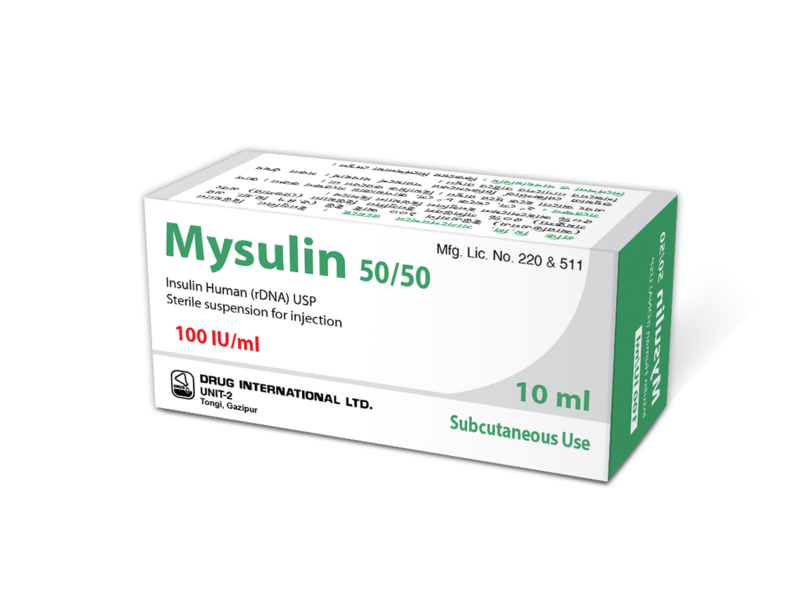 Use in pregnancy and lactation : There are no restrictions on the treatment of diabetes with insulin during pregnancy, as insulin does not pass the placental barrier. Insulin treatment of the nursing mother presents no risk to the baby. 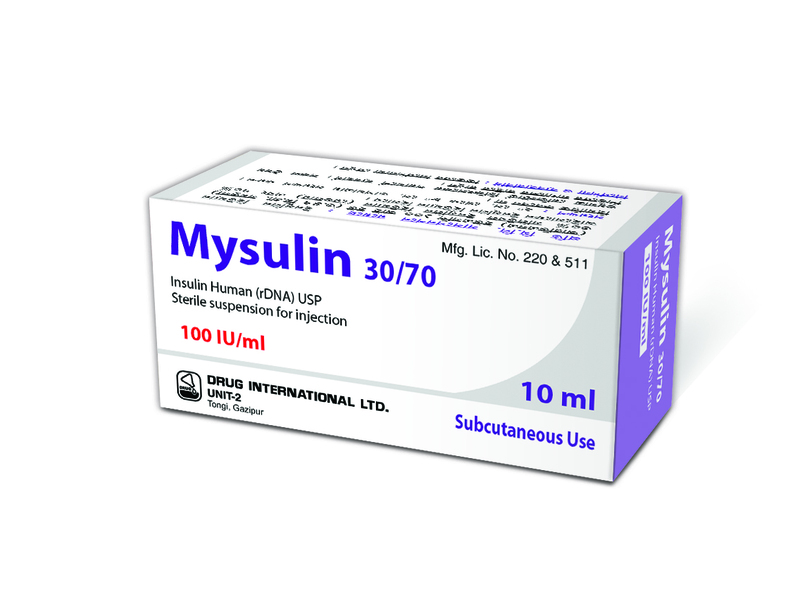 Packing : Mysulin 30/70 injection 100IU: Each box contains 10ml glass vial.